We are open Monday – Friday, 10am – 4pm. The Tamar Valley Centre is a gateway for visitors to the Tamar Valley Area of Outstanding Natural Beauty (AONB) and a resource for the community. We stock books and souvenirs and are able to offer you information about local places to visit. Read the Tamar Valley Centre fact sheet to find out more information on the unique building and what it has to offer. 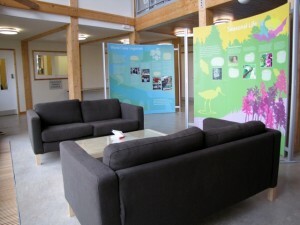 The Centre is also home to the Tamar Valley AONB team, Calstock Parish Archive Trust and Calstock Parish Council. The centre is a modern building for a modern age; an example of how locally-derived materials can be used in new ways. 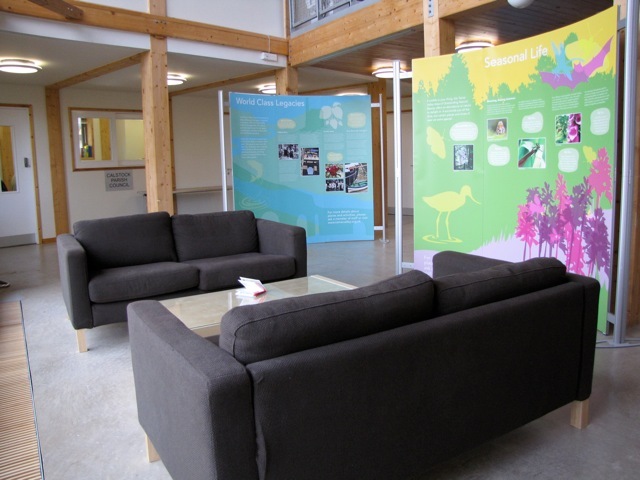 There is space for exhibitions, public events and meetings click here for more information on hiring the Tamar Valley Centre for your event. Please try to travel sustainably: car-share or take the train. 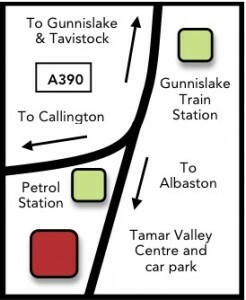 The scenic Tamar Valley Line departs from Plymouth mainline station arriving at Gunnislake, just two minutes walk from the venue.